Auch wenn die auf der Blizzcon 2018 anwesenden Mitarbeiter von Blizzard Entertainment im Verlauf dieser Messe mit einer Vielzahl von Panels und anderen Events beschäftigt sind, so nehmen sich aber viele Angestellte dieses Entwicklerstudios in jedem Jahr auch immer etwas Zeit dafür, um sich direkt vor Ort mit den Vertretern der Presse und ausgewählten Fanseiten zu unterhalten. Aus diesem Grund hatten die Mitarbeiter der bekannten Internetseite WoWhead im Verlauf des gestrigen Tages auch die Chance dazu, sich ein wenig mit Senior Designer Morgan Day und Game Producer Shani Edwards über Battle for Azeroth und kommende Updates für World of Warcraft zu unterhalten. Passend zu diesem Interview findet ihr weiter unten in diesem Artikel nun eine übersetzte Zusammenfassung der vielversprechendsten Antworten und eine Liste mit allen während dieser Unterhaltung gestellten englischen Fragen. Der Raid in Patch 8.2 wird einen Unterwasser-Boss beinhalten, weil solch ein Encounter thematisch sehr viel Sinn ergibt. Die Naga kämpfen an einem Ort, der ihnen einen klaren Vorteil gewährt. Um den Kampf allerdings nicht zu unangenehm zu gestalten, werden die Spieler vermutlich einige praktische Buffs erhalten. Der in der zweiten Saison von BfA erscheinende Affix “Reaping” wird dafür sorgen, dass alle zuvor getöteten Mobs zu bestimmten Momenten in dem Dungeon von den Toten auferstehen und die Gruppe jagen. Die Entwickler möchten gerne den Affix “Explosiv” ein wenig überarbeiten, weil manche Fähigkeiten aktuell nicht gegen die erzeugten Sprengkörper eingesetzt werden können. Es gibt keine Pläne für Änderungen an der persönlichen Beute oder einer Rückkehr des Plündermeisters. Die Inselexpeditionen können den Spielern in Zukunft Schatzkarten überlassen, die in vielen Punkten den Elite Missionen ähnlichen. Spieler sollten dadurch enorm lohnenswerte Belohnungen erhalten. Die aktuellen Belohnungen aus den Inselexpeditionen werden sich in einem anderen Pool befinden als die mit Patch 8.1 neu hinzukommenden Belohnungen. 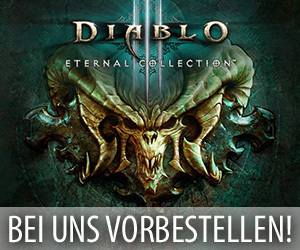 Die Entwickler arbeiten an saisonalen Erfolgen für die Mythic+ Dungeons. Heroische Kriegsfronten werden mindestens 10 Spieler erfordern und danach dann mit der Größe des Raids skalieren. Wowhead: In 8.1, we’ve seen a currency system for Azerite Armor in Mythic+. Can we expect to see this elsewhere such as in Raids or PvP? Morgan: Specifically with Mythic+, we’ve heard a lot of feedback that Azerite Armor was difficult to acquire as you only had that one shot from the Weekly Cache. This currency was something we want to explore in Tides of Vengeance to specifically help with that feedback. Right now, we’re sticking to the Mythic+ update. Wowhead: What did you guys think of Reorigination Array? Can we expect it to continue into Battle of Dazar’alor? Morgan: I thought that it was really cool idea. It was like Titan technology that was learning over time and getting stronger and that’s how it started. It was a really cool thing that happened in Uldir and made a lot of sense. It had a good effect of increasing player power over time outside of item level and normally we may have to start talking about nerfs, but Reorgination Array is doing some of that work for them. Morgan: For Battle of Dazar’alor, something like that isn’t currently planned. You may have seen the traits already and they’re cool and Bwonsamdi themed. Wowhead: With the world first race being streamed and gaining popularity, are there any plans to release the raid at the same time across regions? Morgan: It’s something that we’ve been talking about but there are a lot of complications with doing that. With reset times, the US is on Tuesday and EU on Wednesday and that’s something we have to discuss on a larger scale. This is how it’s always worked and it’s always worked out fairly well. Morgan: I can’t think of a time where the race was that close and US killed it on Tuesday and EU killed it on Wednesday. We’ve talked about it and may revisit in the future but in the short term, it’s something we’re not planning on changing. In the What’s Next panel, there was a mention of an Underwater Boss. Can you share more about it? Shani: Morgan likes to do weird things. He likes to push the limits and see what he can and can’t do. It’s still in early development. Morgan: Everyone has fond memories of doing different things. Some people remember Vash’jir while others are like please don’t me make fight underwater. We have to explore these opportunities as they come up. With Rise of Azshara, it’s the Naga and they’re underwater creatures. Of course they want to fight you where they have an advantage. Shani: We can also add mechanics during the fight to make it easier for players such as underwater walk speed but it’s still in early development. Wowhead: It reminds us a bit of Al’akir with the third axis? Morgan: Yeah, we’ve done flight with Kael’thas and Al’akir but this is a Nazajtar raid with naga and there’s all these epic bosses and people ask so is there an underwater boss? At some point we feel like that just have to try. Wowhead: Are there any plans to readd Guild Master Loot? Morgan: We’re always listening to feedback and adjusting things where possible. Loot trading is a big part of that. We felt is was a good time to move away from it and no plans to bring it back in Tides of Vengeance. We feel like it’s been working out pretty well. Shani: If at a later time, we feel like it’s right for the game again, we can always bring it back but at this time we’re happy with how personal loot is working. Wowhead: Any plans to improve trading logic for Personal Loot? Morgan: There are none planned for Tides of Vengeance, but we’ve definitely heard the feedback. It was a fun discussion because for so long we’ve been living with Artifact Weapons that we forgot about weapons. But many specs using different types of weapons, and then you get a staff and can’t trade an offhand. And now that we have to live in a world with weapons, it’s something to discuss in the future, but not planned for Tides of Vengeance. Wowhead: Are there any plans to have legendaries in this expansion? Maybe similar to something like the ring from Warlords of Draenor? Shani: There are no plans to add legendaries right now, but that isn’t to say that in a future update there could be one. Wowhead: In 8.1, you’re added a Dubloon Vendor to Island Expeditions. Are there plans to allow better targeting of the current rewards? Shani: I think they’re still going to be random drops. The new mounts and toys will be available on the vendors and will be separate from the loot table that is dropping right now. Morgan: We’re doing a lot of cool other things with Island Expeditions in Tides of Vengeance as well. We’ve heard a lot of feedback. We’re adding two new islands for more diversity and dynamic events. If you’ve played islands you know about that big Azerite Golem that is going to spawn. And that’s going into its own bucket of events that can happen such as an Azerite Extractor. Morgan: We’re also adding other reward mechanisms to Islands as well. We’re playing with the idea of a treasure map. When you complete an Island you might get a treasure map and that treasure map will start almost like an elite mission from Legion and those elite missions will have really big rewards. Some people wanted more lucrative missions and islands with a treasure map seemed like a good place to that. We haven’t nailed down exactly what’s going to be rewarded from those treasure chests but we’re talking about possibly adding some of that Azerite Armor currency in them. Wowhead: So the Mythic+ currency isn’t just going to from the Mythic+ chest and Scapping / Disenchanting Azerite Armor? Morgan: Yeah we were discussing other places where the currency could drop from as well. And we were excited to add scrapping to the list because you may be excited to see an Azerite Armor world quest because you can them scrap it for currency to work towards that next piece of Azerite. Shani: We’ve gotten a lot of feedback about Azerite Armor and that’s one of the changes that we’ve made. We’ve also added the 5th ring to Azerite Armor in Tides of Vengeance. Players will have more choice and options and that trait that’s only on one piece of gear has a higher chance of being on more. We’ve also taken out traits that we’ve thought weren’t compelling or engaging and replaced them with new traits. Wowhead: Were there plans to add Seasonal Rewards for the Mythic+ Seasons? Morgan: Yeah. Many players were saying I’ve done a 10 in time on each dungeon. What does that mean? If you compare it to raiding, there’s Ahead of the Curve and Cutting Edge as achievements, what is the equivalent of that? And we’re adding some of those achievements in Tides of Vengeance as well. Wowhead: What about Cosmetic rewards like titles or mounts? Morgan: No titles or mounts planned, just the achievements. Wowhead: What are your thoughts on the current Mythic+ affixes? Morgan: With Tides of Vengeance there will be a Season 2. And we have the Seasonal affix which right now is Infested, which feels very G’huun, like he’s come into the dungeon and infested everything. It’s very thematic. So with Season 2, Infested is being replaced by Reaping. Morgan: For reaping, Bwonsamdi has arrived in the dungeon and every creature in the instance, once you kill it, will arise as a Lost Soul, a Risen Soul or a Tormented Soul. At different intervals on the Enemy Forces bar, say every 20%, all those creatures will attack you all at once. The idea is that it will change the way you approach and pull the instance. Shani: If I’m one trash mob away from the threshold, I might only want to pull one mob to trigger it. Morgan: It’s just a wave of creatures and they just sprint at you. 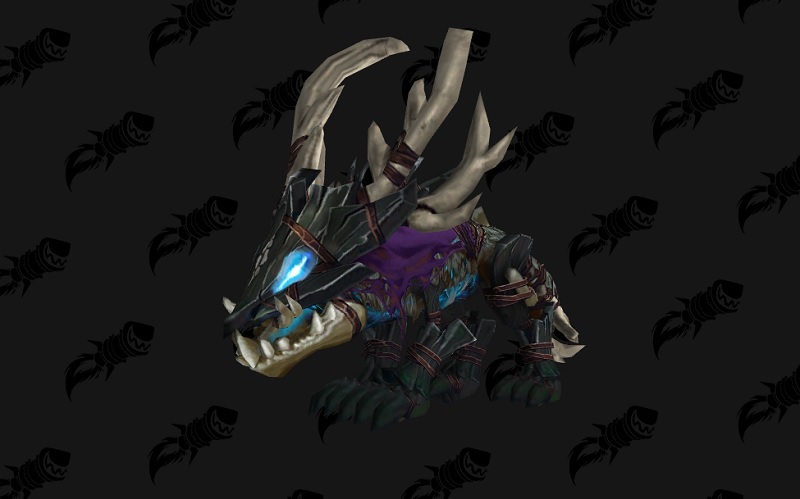 Wowhead: From the start of the dungeon it’ll just chase you down? Morgan: So from every creature from 0% to say 20%, a new type of soul will have risen and it’ll charge at you. That’s something that is going to the PTR soon and we’ll be collecting feedback. The idea is that you hear Bwomsamdi say “Rise!” and then all the creatures that you have killed come after you. Wowhead: It sounds like it’ll be amazing to watch. Morgan: We’ve had a lot of fun moments with it. It’s been really fun to watch. Wowhead: Are there plans to add more or change any affixes? Morgan: We’re not looking to add any affixes other than the seasonal one but we’re planning to make changes to preexisting ones that make sense. For example with Explosive, there’s a lot of feedback that certain abilities don’t work on them like you would expect. For a Shaman or Protection Paladin who casts Chain Lightning or Avenger’s Shield at the Orb directly, it doesn’t hit it currently. So we’re looking to change how the creature works to hopefully help some specs out. Wowhead: Can you tell us more about Heroic Warfronts? Shani: Heroic Warfronts will be flexible, so you can queue with 10 or more people and they’re going to be much harder than the ones that are currently on live. Right now there’s the sentiment that it’s very difficult to lose the Warfront, you have to try to lose the Warfront. You can actually lose these ones, so you have to be paying attention and working as a group. Heroic Warfronts will also have higher level rewards. These will be available on both the Arathi and Darkshore warfronts. Are there plans to add more Warfronts in any of the new zones? Shani: It’s something that we’ve talked about but there’s no plans to announce anything today. Wowhead: We saw a lot of Floating Islands and Waterfalls in Nazjatar. Are there any interesting ways to get around? Morgan: Do you have any ideas? We’ve always looking for cool ideas and we’re always listening to player feedback. Rise of Azshara is very much in development, there isn’t anything concrete that we’re ready to announce. The Pathfinder achievements will also be opening up at that point. Wowhead: What are we going to have to do for the second pathfinder? Shani: It’ll be similar to Legion. It’ll be a mix of exploration, content and reputation. Morgan: I think we’ll probably take some queues from previous expansions. Wowhead: Do you have more plans for Allied Races after Zandalari and Kul Tiras? Shani: It’s something we’ve definitely talked about, but there’s no plans to share what the next bunch will be but there are some that are coming later on. Morgan: With Allied races, it’s always really exciting to see what players get kicked up about but it’s also about where is the story taking us and what makes sense at the point in time when we’re exploring these things. Wowhead: What’s going on with Sylvanas and Xal’atath? Morgan: I don’t want to spoil anything but as you also saw there is N’zoth on the horizon in the distant future so I don’t want to spoil anything or talk to much about it. It’s one of the things that I’m excited for people to see how that story unfolds.